The Vintage Computer Festival has a long and winding past that begins at the end of the last millennium. While there have now been 12 official VCF West festivals, the original lost continuity due after the tenth show, and thus ceased to occur on this coast any longer. Last year, the folks behind the VCF East fired West back up and kicked it back into a functioning state with the addition of a new leader and a nonprofit, the Vintage Computing Federation. Hidden in and among this year’s displays of tricked out Apple II’s, the Monster 6502, and IMSAIs were the stories of how this industry was built. From discussions of technical details to the deep business dealings, the VCF was a venue for the people who created Silicon Valley to discuss its history. The Computer History Museum was a perfect venue for the VCF, especially thanks to its unique offering of historical figures-as-docents. These include Pong creator Al Alcorn, inventor of the first computer game Stephen “Slug” Russell, and a herd of developers from Xerox PARC. Most people know the stories behind the big names here: how two Steves started Apple, how Bill and the gang built Microsoft, and how Fairchild Semiconductor seeded a thousand companies with the path it cut in the 50’s and 60’s. Behind these stories, however, are some that are still only told in hushed voices. And VCF is a good place to hear ’em. 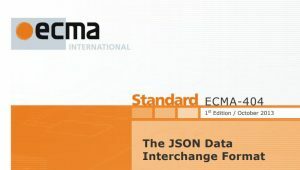 One such story is the tale of how the popular JSON data exchange format came to be. Chip Morningstar, F. Randall Farmer, Mark S. Miller, and Douglas Crockford are four famous developers whose contributions to computing are only just now beginning to be recognized. The four have worked together multiple times, and have generally when they did so, have been way too far ahead of their time to actually be successful. You may remember me already writing about Chip and Randy, who I have worked with to bring back the first graphical MMO, Habitat for the Commodore 64. Their work on that game lasted from about 1984 through 1988, and every bit of it was prescient and foretold the future. Sadly, the game also cost about $0.60 a minute to play, with online fees, phone charges, and game fees at the time being what they were. As usual, the future was not evenly distributed, and Chip and Randy’s baby was forgotten. Of course, that wasn’t the last time they tried this, however. Eventually, the pair created Electric Communities, and other ventures designed to build virtual worlds at a massive scale. It is at this point in the story that Crockford and Miller enter the story. Their work, and the work of others at Electric Communities created E, a programming language based on security and trust. Randy points to this story as an example of how the easiest path forward should always win out in the end. Of course, he and the team at Electric Communities were, again, way ahead of their time and didn’t amount to much as a product. And yet, everything we touch on the web today likely now uses JSON in some way or other. The arrival of JSON, with its easy-to-use syntax, was also was one of the final nails in the coffin for Web Services, whose XML-based data interchange rules were far more complex and brittle. Another cautionary tale at the VCF is that of the history of floppy disks. Foone Turing of Fremont, California, displayed the complete history of this computer medium at the VCF West show, and we mean complete. 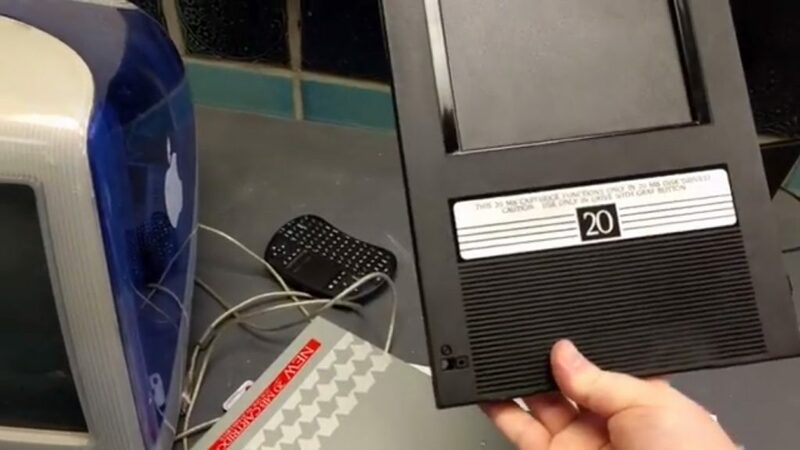 His collection included 8″, 5.25″ and 3.5″ floppy disks, as well as anomalous variants, such as the 2.88MB floppy, the Famicom floppy disk, and even the infamous 3″ and 2″ variants used by Amstrad and Sony respectively. The floppy display highlights the sordid history of personal computing. For years, the biggest goal for all involved was to eek out an extra 100KB, another few KHZ, anything to differentiate your product from the oceans of competing platforms. As a result, computers were designed that way are now, in today’s stark light of history, useless even for preservation purposes. Let’s take, for example, the ColecoVision Adam computer. I choose this platform to rail against simply as a cautionary tale of the industry. You have to remember, just ten years before introducing the Adam, Coleco was still a leather punch company. How they got into the computer business is a tale that will likely be mirrored by many companies now making mobile games, or lifestyle cameras, or selfie-sticks. Opportunity knocks for some, but for others it’s down the street, waving its finger back and forth in an enticing fashion. You could not turn on the Adam without the printer. So it was for the Adam. This system, from a historical perspective, is near impossible to work with. First of all, it uses audio cassettes as its data medium of choice. While cassettes were cheap and held a lot of data, they were also slow and unreliable. The Adam came with one cassette deck and a slot for a second. Other mediums were not available for the device. The whole contraption also came with a printer, which was actually required. You could not turn on the Adam without the printer. That’s because the Adam plugs into the printer, which then plugs into power. To top it off, the Adam would send such a surge of power through the device that any tape in the player would immediately be degaussed upon startup. The device was a debacle of design. And yet, this product made it to market and sold a few units. Why? Because it was backward compatible with the home ColecoVision game system. Also, at the time it wasn’t clear what, exactly, the benefits of a home computer were. There was a feeling that such a device should be able to print, play games, do your taxes, but in actuality, most machines ended up being an amalgam of these talents, for better or worse. The C64 heavily favored games. The Apple II had plenty of serious software and stock trading programs. The Macintosh tried hard to make it easy to print. All struggled to differentiate in a time when, in fact, none of the platforms could do all the things we now take for granted in computing. This is somewhat similar to what’s going on in the cloud today. The cloud providers are all racing to stake out their best offerings and show that they’re better at data storage, or cheaper at scale, or faster to setup. And yet, in reality, what we’ll think of as a cloud platform in 10 to 20 years will likely include all of the above and far more. The real trick for developers is to make damn sure they’re not betting their future on the ColecoVision Adam. In the end, the IBM PC won out simply because it could do all the things. The single software platform across varying hardware types ensured that the largest possible audience could be addressed without the developers having to make niche bets on Atari ST, C64, Apple II and other platforms. Instead, the DOS PC became the default platform. Is that better? Well, at least our neat new games weren’t being deleted upon first use anymore. Feature image: One of Foone Turing’s giant floppy disks.